Where deliciously authentic meets exceptionally fresh. 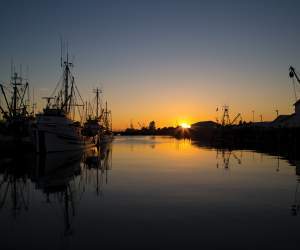 Pull up a seat at one of Steveston’s many lively marina-side eateries and feast on succulent Pacific Northwest seafood sustainably fished straight from the ocean. Steveston is perhaps most well-known for its fish n’ chips, with locals passionately debating over which place serves the best. Steveston also boasts delicious Mediterranean, Japanese, and Mexican restaurants serving their take on the day’s catch along with a plethora of other Instagram-worthy dishes, if seafood isn’t your thing.